Economic realities have meant that most families must rely on more than one income to meet the family’s current needs and future aspirations including educating children, decent housing and a secure retirement. There has been the traditional premise that men were the breadwinners and women stayed home “in the kitchen,” or did not pursue a career or build a business. Indeed, Nigerian women are earning and contributing a significant part of the household income. Women’s earnings have increased significantly, with many women in top jobs in the corporate world, business and government. Many are assuming the role of primary and sometimes, sole earner. Kate and Steve: In far away Leeds in the United Kingdom, Kate Beckley returns home at 9pm after a long day at her job with an Investment Bank. By the time she gets home, Steve, her husband has already picked up the kids from school, helped with homework and prepared a meal for them all. Kate just doesn’t have the time for domestic chores right now as they came to a decision that since her six-digit income was much more than he could expect to earn in the short term, it would support their children’s private school education and also give him the freedom to develop his portfolio as a talented artist and teacher. Steve is completely comfortable with the situation as he enjoys quality time with the children and is able to focus on what he loves. Dele and Maria: Dele, 38, is a partner at a small Lagos law firm. Briefs are not regular so sometimes he has money, but other times he is completely broke. He is not as disciplined as he ought to be with his finances; when he does have money, he spends a lot out socializing with friends. His wife, Maria is an Assistant Manager at a bank; She earns one and a half times more than him. Dele is embarrassed that Maria is footing most of the household bills. He feels somewhat inadequate and insecure as he feels that he is not meeting up to expectations of either Maria or their two boys. He did mange to accept things though, until Uncle Wole visited and made a snide comment about who was “in charge” in his home; this really got to Dele and began to put a huge strain that threatened their marriage. Maria admitted feeling unnerved, as she finds the thought of earning more than Dele somewhat jarring; her father took care of her mother and siblings and she expected her husband to step into the role of provider. She abhorred the role she found herself in. Maria almost lost respect for Dele after she found herself footing major bills including rent and school fees. She became angry and resentful and it showed. She felt that Dele should forget about his fledgling law practice that couldn’t pay the bills and look for a job in a top law firm. She struggled to give him that hallowed position as Head of the Household, his spiritual role that is so clearly defined for the Christian household. Fortunately, Dele and Maria sought counseling and had a conversation to put things in perspective. Emotional support, assistance with the children’s activities, encouragement with each others careers or business was essential too; in many ways, these things matter much more than money in their journey together through life. 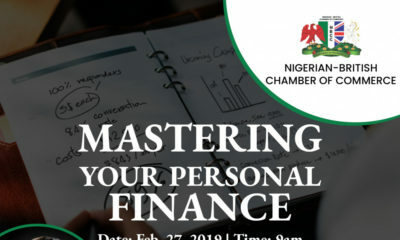 Money Matters are a leading cause of friction and discomfort in relationships and this can be more pronounced where the woman is the primary breadwinner. Here are some suggestions to navigate this sensitive issue. It is so important that you and your spouse are communicating and can ward off much of the noise where you know that you have clear family goals. One party may be back in school to improve the family’s prospects whilst the other spouse takes care of all the bills. Maintaining respect and acknowledging how you both contribute to the marriage will help. Try to consider and appreciate the non-monetary contributions of your spouse. Does it really matter who makes more money; or is working together as a team to meet the needs of the family not more important? Sadly, society can be quite judgmental of women with financial and professional influence. Expect criticism from the extended family, including in-laws; even your friends might look on disapprovingly. Steer clear of such conversations. “If a woman thinks that the power should follow the money, she’s in deep trouble,” writes Farnoosh Torabi in her book “When she makes more.” It’s emasculating and wrong to cut your spouse out of decision-making just because you earn more. Ideally major financial decisions about debt, savings, investing, and educating children that concern the family should be made jointly. Being a breadwinner wife and mother may be more common than we think. There are many couples in a similar situation that have navigated this situation very well. Share positive advice and compare notes. The phenomenon of the breadwinning woman is here to stay. Your physical, mental and spiritual health is even more important now than ever, particularly if your family depends on your income. You cannot afford to buckle under the pressure or be laid off work. Eat healthily and exercise regularly. There is no one size fits all. Some women go to the extreme and hand over their entire salary to their husband for him to make all decisions to keep things on an even keel; find a system that works for you; if it is not working, change it. At the end of the day, you must be proud and thankful that you are able to provide for your loved ones. The income differential should not damage a relationship. At a time when so many families are struggling for the most basic of necessities, just thank God that at least one of you is earning and able to provide. Collection Conversations with Eki and Richard: Why So Much Red? Thank you for this, ma’am. I’ve always believed that as long as the family is provided for, it doesn’t matter who makes more money. Sadly, our patriarchal society, coupled with the fact that many husbands believe that domestic duties are the sole preserve of women,means that the breadwinning wife has to also shoulder the bulk of childcare and domestic work in order not to ’emasculate’ her husband. You gotta talk about this before you get married and come to an understanding. Some people have allowed this small issue to destroy their marriage. Though i joke all the time and tell my husband my money is my money and his money is our money, we talked extensively about this and came to a mutual agreement before marriage. We know what’s in eachother’s account. Marriage is too sweet to allow something like money to spoil it. Joint account works great for some and not so much for others. Do what is best for your family. Be Transparent, It brings peace. Please, Don’t marry someone you gotta hide your income from. Figure it out together before marriage. Don’t assume either. A woman that marries a man with low-self esteem or believe that a woman is an after-thought (like some pastor preached) will find it hard in this kind of setting because the man does not have and he still wants to control everything. He disapproves of anything he can’t afford, not because it is not a good idea or investment but because he is jealous and weak to admit that a woman too can have a good idea and also able to fund it. As I’ve always said on this forum, single ladies, you’re dating that guy that constantly puts women down or never sees anything good about what a woman does, please run and let him marry a woman that crawled out of a hole like him. Even though he is earning more than you now, tables can turn and he will become an angry and impossible man. Women who are breadwinners too should try to communicate their needs and maintain a balance in the home. Thanks Nimi, great article. Money is a major issue in marriage these days and it should not be. There is no ‘one size fits all’ approach to this. If a woman earns more than the man talk and work out a plan that suits both of you. After all when the man is the bread winner its all cakes and ice cream so there is no big deal if its the other way round. Never compare yourself with other couples, you don’t know their modus operandi. Bottom line is team work and communication! Very very important you must be able to communicate with your partner to work through money matters and other issues. If you cannot have effective communication then you might as well just be housemates. Communication is key. Urrgh, if the word “emasculation” was a person, I’d beat it up, punch its light out then throw it in a ditch. How come there is no such word for women? To describe the deprival of a woman in her female identity? (Because no job/activity/role in life is beneath a woman abi?). She’s already low enough so their is no way she can be demeaned because her natural state is already demeaning? Y’all better pray and open your eyes well so you don’t marry people with fragile egos and low self esteem. You’ll now start working on eggshells and watching every word you say in the probable event that you might earn more than him. You’ll start keeping your ambition in check so you never advance more than him, because let’s face it, the fact that you dared to achieve more than them is already disrespect for some of these men. When you’re single watch out for their words very well, how they react to successful female entrepreneurs, what they think about a female boss at work, how they react to female breadwinners, are they always talking about who’s in charge/authority? Do they talk about emasculation a lot? Do they automatically think all successful /educated/ smart women are proud, b*tchy, uncooperative, a threat? If you are like any other human being with ambitions and goals you’d better run from these destiny wasters. Ambitious women need to start viewing themselves as Eagles. Eagles fly alone at high altitude and not with sparrows or with other small birds. No other bird can go to the height of the eagle. When Moses went to commune with God on the mountain, he left the crowd at the foothills. Stay away from sparrows and ravens (weak men with fragile egos). Eagles fly with eagles!!! Stop messing around with foolish men. Attract your kind and don’t settle for less. I need to give u a hug for this comment ? ahn ahn Natu making sense! Thank you for this comment! @ Marian GOD bless you and your marriage. You are a very wise woman and your husband is blessed to have you. This piece is spot on, please let’s try and circulate as much as we can. This money issue is causing serious problems in several families in Nigeria, especially in these recession times. And this is largely because we give unnecessary weight to the voice of outsiders. Too many men want to maintain the impression of “chief provider” to their friends and families, and will put their higher-earning wives under unnecessary pressure in the process. So many women are getting carried away by the instagram gifts and public monetary shows of affection, and building resentment towards their husbands that are unable to match up. Husbands and wives should see themselves as a team and work as a team. Both should be willing to do whatever it takes to make the partnership work – whether it means stepping aside from a job or taking on more responsibilities to strike a balance. Very insightful article. One that many should consider before jumping into marriage. A lot of couples spend no time understanding the financial aspect of starting a family. Friendship also plays a trivial role when it comes to women being the breadwinner of a family. Having a close bond and affection with your spouse, would erase any selfish acts on who should handle what financially or why you should earn higher than I do. 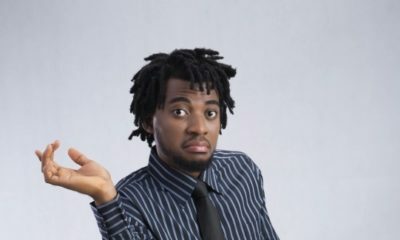 Personally, I applaud women who rise up to cater for the financial needs of their family in a situation where the man earns low or lacks a job; as compared to viscious wives who ridicule their husbands and probably go after other men in search of money because they feel their spouse is not “man enough”. People who are versatile, knowledgeable and appreciate their homes would embrace this new trend and frown against those who stand to oppose it. Although, in our African setting, culture envisions the men to play such roles, and it’s seen as an abomination if a woman is the breadwinner. Today, we live in a global and civilized world; so such archaic ideologies of stay-at-home women should be abolished. I’m always reiterating on this topic here. Too lazy to write on this topic. Hopefully people would start prioritizing their economic realities over what their forefathers did under the umbrella of tradition or religion. There are so many dimensions to this and when a woman finds herself in this situation; she needs divine guidance on how to handle it and sadly may struggle with it for a long time. I think a lot of women are able to handle if unfortunate circumstances come upon their spouses or if by their own hard work and good luck they earn more than their husbands. However, many women find it hard to handle LAZY and UNCARING men. No matter how they try, that resentment sets in as a woman expects her husband to act as a protective shield. 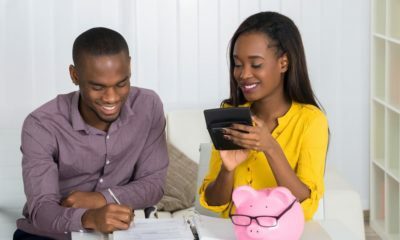 It is important for women to teach their girls to be financially educated as early as possible because it will feel good to know that when that man doesn’t care, you can care for yourself. My name is Cláudio and I am from Angola and I really like this blog! When I´m in the office I take always a time to read interesting issues and subjects what you post … Therefore, Don´t stop and I hope you keep that way.